The 3rd lecture of the of “Dean’s Lecture Series‘ will be held on 08th March 2019, from 3.00 pm onwards at the Board Room, Faculty of Arts. 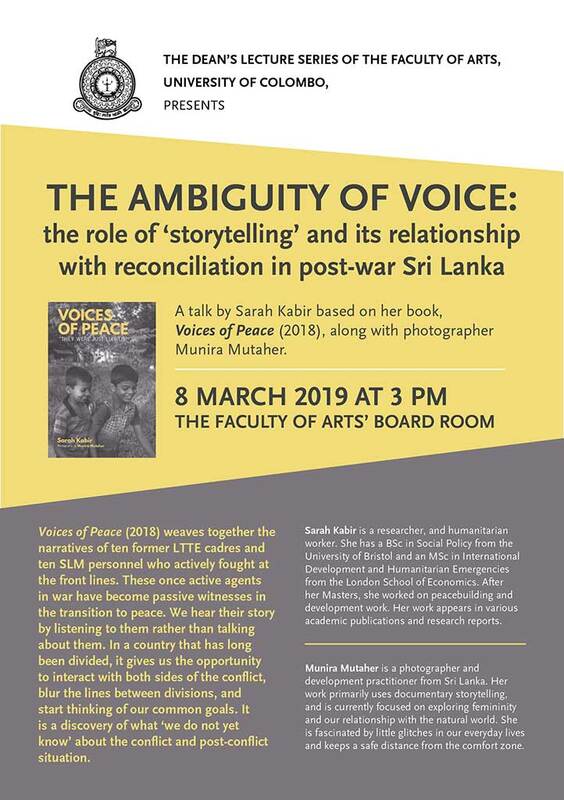 The topic of the lecture will be “The Ambiguity of Voice: the role of ‘storeytelling’. 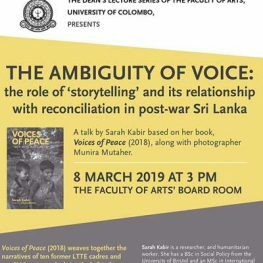 This will be a talk by Sarah Kabir based on her book ‘Voices of Peace’ (2018), along with photographer Munira Mutaher.